This gorgeous, light filled expanded charmer had a substantial addition in 2000! Ideal custom layout -large open kitchen, spectacular deck + large living/dining room for entertaining inside and out. Main floor has 2 bedrooms a 2nd main floor master and guest or office space, this is a perfect multi-generational home! The main floor master could easily be converted for wheelchair access too! A new expanded master with a spa inspired bath + 2 additional large bedrooms up. Professionally landscaped front and back with mature fruit trees. Huge walkout basement with ample storage, a cedar closet, 3rd fireplace, 2 additional bedrooms or office/craft space. Pro Grade Viking stove, granite counters, hardwood floors, new carpet, Fresh paint and stainless appliances. Loaded with Character, light and warmth, priced with the next homeowners updates in mind. 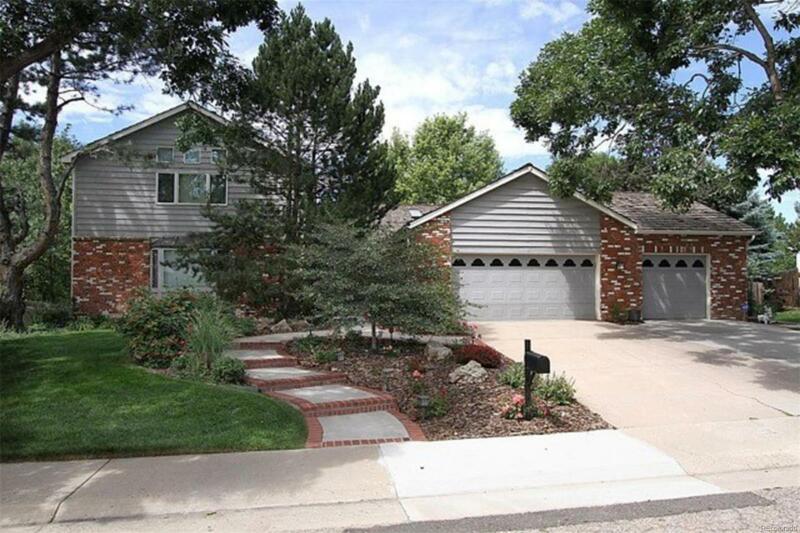 Incredible opportunity at $219 per sq ft. Close to Cherry Creeks State Park and excellent Cherry Creek schools.